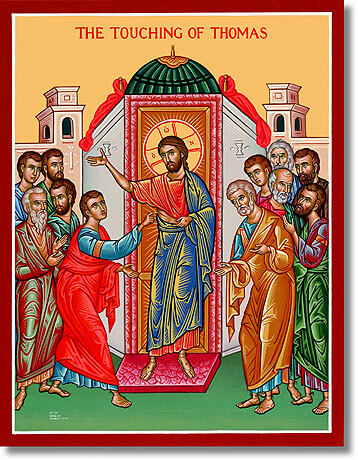 Catechisis is an important pastoral duty of the Church. Just as many other things in life, it too begins at home. The expressions of parents, brother and sisters, their life-style, manners, all will attract the little ones. Gradually they begin to as, what? who? for what? which? when? and so on. We may hear them asking also many religious questions. As we start giving them satisfactory answer to such questions, catechesis has already commenced. In regular catechism classes what is done is only an improvement on this situation. Second Vatican Council has made it clear that the one Church of God in Jesus Christ is a communion of different individual Churches or Rites. They have in common the faith and sacramental life. The Pope, the universal head of the Church and the Vicar of Christ, is the symbol of unity among various individual Churches, Hence, communion with the Vicar of Christ is an essential feature of authentic Christian identity. At the same time, each of these individual Churches can have her own liturgy, spirituality, theology and discipline different from other Churches. She may also entertain her own monastic traditions and ascetical practices. Eastern Churches stress more the practical dimensions of Christian living, while the Western tradition emphasizes the doctrinal aspect. Thus theology, for Easterners, is the scientific interpretation of Christian living, namely, the Liturgy; and catechesis is the first stage of theology. Catechesis, therefore, ought to begin as an explanation of liturgical symbols and practices. The understanding of catechesis is radically different from that of the Western Latin tradition, where it is understood as dogmatic and doctrinal. According to the Western system, one may remain content with one and the same catechetical text book for all Churches while according to the Eastern system, each Church is obliged to draft her own catechetical text book in line with her own liturgical celebrations. The Syro-Malabar or Chaldeo-Indian Church follows faithfully the method and text books of the Western Latin tradition. This is her plight from the 16th century down to the present day. She hasn't yet made any attempt at envisaging a new method, or drafting new text books for catechesis. Is it due to lack of competent personnel or resources? Not at all, I think! St. Serapion, one of the fourth century hermits, made a pilgrimage to Rome. There in that eternal city, he happened to meet an ordinary woman, who was spending twenty-four hours confined in her room- something paradoxical in a city context and to his own mental attitude. He, though himself a hermit, liked to go round the world and bear witness to Jesus Christ his master. He asked her: "Why you waste all your time sitting in your cell?" She replied "I am not sitting; but marching on my way". Yes, every believer is a pilgrim marching towards his heavenly home, He live on earth in tents just like people of Israel in the wilderness. The pilgrim festivals of Jews were typological reminders. The liturgical assembly in any Eastern Church, standing turned towards the sanctuary, the heavenly Jerusalem, under the leadership of the celebrant, is a proclamation of this basic reality of believers and the Church. Margam, "the Way", is one of the most ancient titles of the Church. 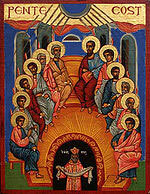 We find it out repeatedly in the Acts of the Apostles (19, 23; 24, 22). This title stresses the practical nature of Christian living. Christian faith is neither a philosophy of the world order nor a collection of doctrines and dogmas. It is a Margam, "the Way" to be travelled, a way of life- a life style. Since our forefathers were convinced of this practical dimension of their Christian living, they called it the Mar Toma Margam, namely the Christ- experience, shred through Mar Toma, their father in faith. In order to experience it, one must enter it unconditionally; must take into account the sign- posts there and must commence a real pilgrimage. It is not enough that one learns about or makes research on one's own Ecclesial tradition; one must live it and only so can enjoy it. "The creed does not become yours, until you live it and enjoy it by yourself", teach the fathers of the Church. When the Easterners stress more on the ecclesial and communitarian dimension of liturgy, the Westerners looks more for personal satisfaction. Hence it is quite natural that the Eastern ecclesial traditions and Christian life-style appear old and out-fashioned to those westerners who give predominance to personal interests and also to Easterners who blindly imitate such westerners. 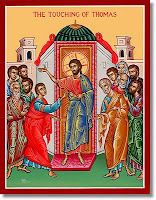 A genuine Eastern believer keeps fidelity to his own ecclesial tradition, not merely for preserving blindly certain principles or customs, handed over to him by his predecessors; but on the contrary, it is to experience those salvific realities which are ever old and ever new, directly in a ecclesial and personal manner, under the guidance of the Holy Spirit, working here and how. As we proceed in the Margam, we become more and more convinced of the contradictory dimensions of the Eternal one, namely, his nearness and otherness. The conviction that God is a mystery, he is invisible, in comprehensible and inaccessible, above all emotions, thoughts, feelings and words will get deepened. That is, in fact, the stand of an Oriental faithful before God. This living and personal God of Easterners has no relation with the "God-idol", which the so-called modern man has created within his own limited intelligence. Man is created in the image and likeness of God; not that God is created according to the likes and dislikes of human imagination. God of Mar Toma Margam is the living and personal God; He is Amman-hu-El, "God with us"; He is Alahan, "Our God"; He is Mari w-Alahi, "my Lord and my God"; He is Urha wa- Srar u-Haiye, "the Way and the Truth and the Life"; Mar Toma Nazranees are brough to this God by Mar Toma Sliha and now they experience him according to the specifications of Mar Toma Margam. 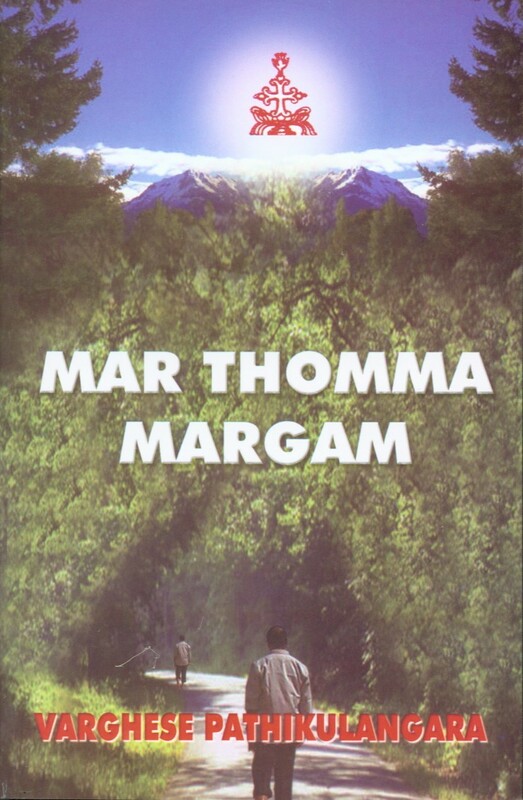 This book is an introductory explanation of Mar Toma Margam. A new method and style of catechesis, typical of Eastern heritages, is introduced through it. Study through practice and repetition is the speciality of this new method; doctrines are proposed through ordinary happenings and regular practices of worship. I believe that this ought to be the catechetical method of an Oriental Church. This is only a beginning and hence, I wish for a future when the Syro-Malabar Church is fully equipped with such a complete set of catechetical books. The Malayalam book, Mar Tomayude Margam was published is May 1988. It was intended to bring about such a radical change in the catechetical style of Mar Toma Nazranees. The generous welcome accorded to the book was really encouraging. Moreover, there came the request for an English edition of the same work from the Syro-Malabarians residing outside Kerala. All these prompted me to take up the work for this English edition. But for the timely help rendered by Rev. Fr. Sebastian Kalacherry of Paurastya Vidyapeedam and Rev. Fr. Theophane Kanjooparamapil CMI of Dharmaram Vidya Kshetram this edition would not have seen the light of the day so soon. I thank them both for their sincere co-operation. His Grace Mar Joseph Powathil has, besides giving the Imprimatur, graced it with a most appropriate Foreword; and his Lordship Mar Paul Chittilappilly of Kalyan (now Thamarasserry) has blessed it with a very warm appreciation. (*) To both these esteemed hierarchs of the Mar Toma Margam, I express my deep sentiments and gratitude. I am very grateful to Rev. Jacob Kooroth for the sketches and pictures that he has prepared for this edition. Finally, I would like to place o record my sincere thanks to all who have most willingly collaborated with me in bringing out this book. May the good Lord shower His choicest blessing on all those readers and well-wishers of Denaha Services. (*) Mar Paul Chittilappilly's appreciation is not included in the blog.